You do not need to be drinking to be arrested for DUI. You can also be arrested if the officer feels you are under the influence of drugs such as marijuana or cocaine, or even your own prescription!!! DUIs of this type are more complicated and can involve expert testimony. If you have been arrested for DUI while under the influence of drugs it is in your best interest to hire an attorney who is familiar with defending these type of cases. What is a “Drug DUI”? How will they know if I have drugs in my system? If a police officer feels you are under the influence of a controlled substance, he or she can request that you take a urine test as part of the implied consent statute. If you fail to do so, you can be charged with a refusal, just as if you refused to blow into the machine. What types of drugs are listed in Chapter 843? There are several more drugs on the list. Most of them are types of painkillers, muscle relaxers, and depression or anxiety medications. Of course, the list also includes illegal drugs. A good rule of thumb is that if you can’t buy it over the counter, it will be on the list. Having a prescription for the medication you are taking, and taking it properly, will not keep you from a DUI arrest. However, an attorney with experience in defending DUI cases can discuss with you if your particular regimen gives you any defenses. What are the penalties for a Drug DUI? If your DUI involved property damage, or if you injured another person the penalties are increased. They can also be increased if you have been convicted of prior DUIs. Absolutely! The attorneys of Finebloom, Haenel & Higgins have over 20 years combined experience in DUI defense. Our attorneys have the knowledge and resources to help develop the best defense for your situation. Call us now to discuss how we can fight for you. 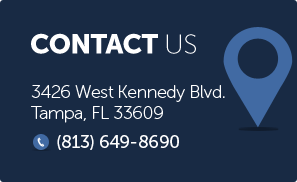 You can contact an attorney in our office 24/7 by calling 813-200-4421.